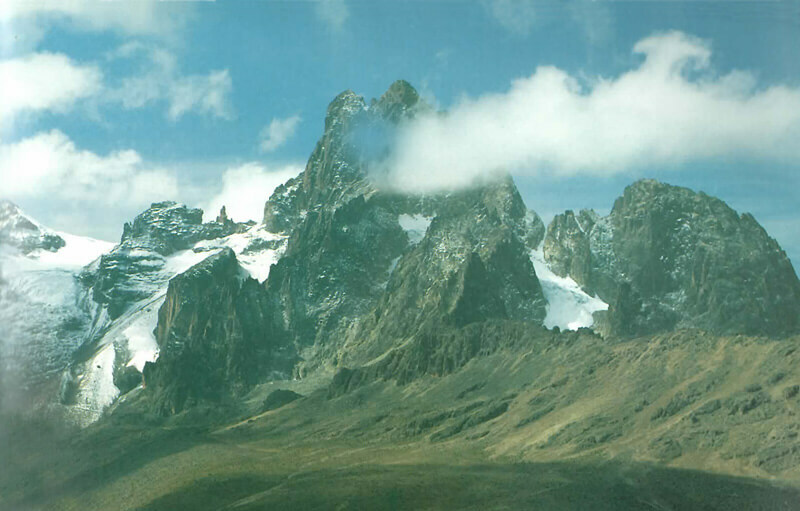 Mount Kenya is the highest mountain in Kenya and the second highest in Africa, after Mount Kilimanjaro (5,895 m). 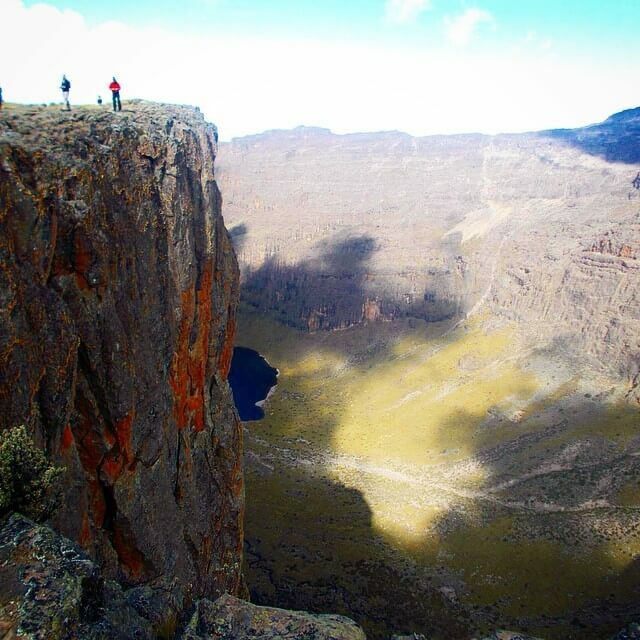 The highest peaks of the mountain are Batian (5,199 m), Nelion (5,188 m) and Point Lenana (4,985 m). The mountain is located in central Kenya, just south of the equator, about 175 kilometres northeast of Nairobi, the capital of Kenya. Anyone who is reasonably fit can reach Point Lenana or any of the other subsidiary peaks. However, Batian and Nelion require technical climbing via rock or ice routes. The three principal trekking routes that approach the base of the technical climbing routes and the popular destination of Point Lenana are Naro Moru, Chogoria and Sirimon. It is the fastest and hence the most popular. It’s not particularly scenic and the rapid ascent profile makes it unsuitable for trekkers wishing to acclimatize more gradually. The route also features the legendary “Vertical Bog”, a steep quagmire of wet moorland that is very taxing after rains. The final ascend up to the Austrian Hut tackles a long, loose and uncompromising scree slope up the side of the Teleki Valley. Basically, you don’t want to do this route unless you want to reach Point Lenana in three days. Descending via the Naro Moru route is fine though. It can be done in one very long day, but usually done in two days and one night. It is the most scenic and interesting of the three trekking routes. The route passes the enchanting Hall Tarns and looks down sheer cliffs into the magnificent Gorges Valley and onto the beautiful Lake Michaelson. The Austrian Hut is reached via Tooth Col at the head of the valley. It is the least used, but features the most gradual ascent profile and best acclimatization options. The route passes through impressive Yellowwood forests, which gradually turns into moorland covered with giant heather. In the higher reaches Sirimon route features abundant wildlife and beautiful alpine scenery. The Austrian Hut and Point Lenana are reached from the head of Mackinder’s Valley via Simba Col. The table below gives an overview of the climbing routes. There are 3, 4 and 5 days Mount Kenya climbing tours that take you through the principal trekking routes. Tours can be adjusted to meet individual requirements. Mountaineering and safari are an excellent combination. Mount Kenya National Park offers a diverse wildlife population including rare and endangered species of wild animals and more than 130 birds species. Accommodation ranges from luxury to budget in hotels, lodges and rentals.